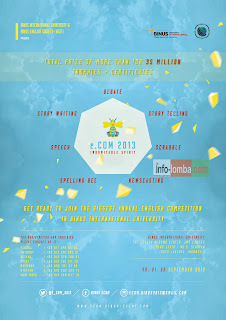 BiNus International presents e.COM 2013! The most prestigious ENGLISH COMPETITION! 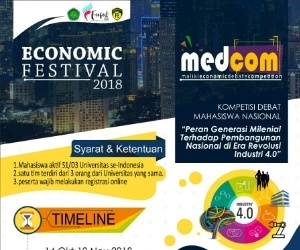 We would like to remind you that Binus e.COM is 3 weeks away! September 20th-22th 2013 e.COM 2013: "Indomitable Spirit" will be held in JWC Building, Hang Lekir and also in f(X) Lifestyle Center, where our new campus branch just opened up recently. And we would be very happy to invite you to one of the most prestigious English competitions in Indonesia. 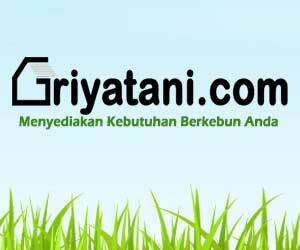 Registration opens now until 6th September 2013! Hurry! Only few spots left to register! WITH MORE THAN IDR 35 MILLION OF TOTAL PRIZE, TROPHIES AND CERTIFICATES FOR GRAPS, WHAT ARE YOU WAITING FOR? JOIN e.COM AND PUT YOUR ENGLISH SKILLS TO TEST! 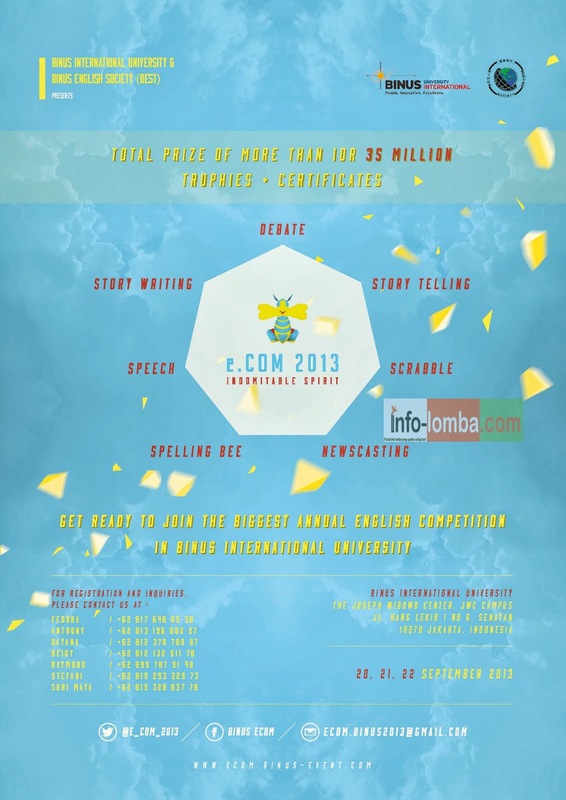 0 Response to "e.COM 2013 "Indomitable Spirit" (English competition for highschool and university students)"